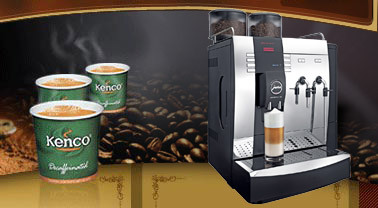 The Carte Noire drink capsule offered through the Kenco Singles machine really does produce an exceptional coffee. It is a very popular choice in the range, particularly with the true coffee connoisseur. 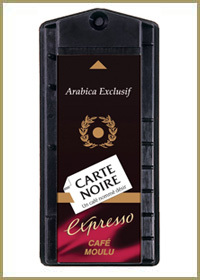 A genuine continental roast and ground choice, this rich, but smooth coffee is the leading premium coffee brand in France. The Carte Noire drinks capsule is ideal for the coffee lover looking for something a little more sophisticated. Kenco Local Business Service can deliver the entire range of Kenco Singles drinks across Greater London and surrounding towns including Reading, Maidenhead, High Wycombe, Basingstoke and Slough. We operate our own team of delivery drivers, salesmen and technicians, allowing us to give our customers a service that is unmatched. As one of our customers you can expect quick and efficient deliveries, a comprehensive technical back up for your machine and friendly advice if and when you require it. 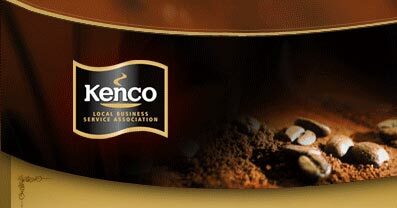 Kenco Local Business Service are also a leading supplier of both new and refurbished Singles Brewers. These highly popular machines are available to rent or purchase on a range of flexible deals designed to meet your needs.